Boheme and Body Wellness Shala is the ultimate sanctuary for the mind and body. When you step into Boheme, it feels like your at home - a place where you can belong. Boheme offers a warm and nurturing space where individuals come to connect with other like-minded souls. 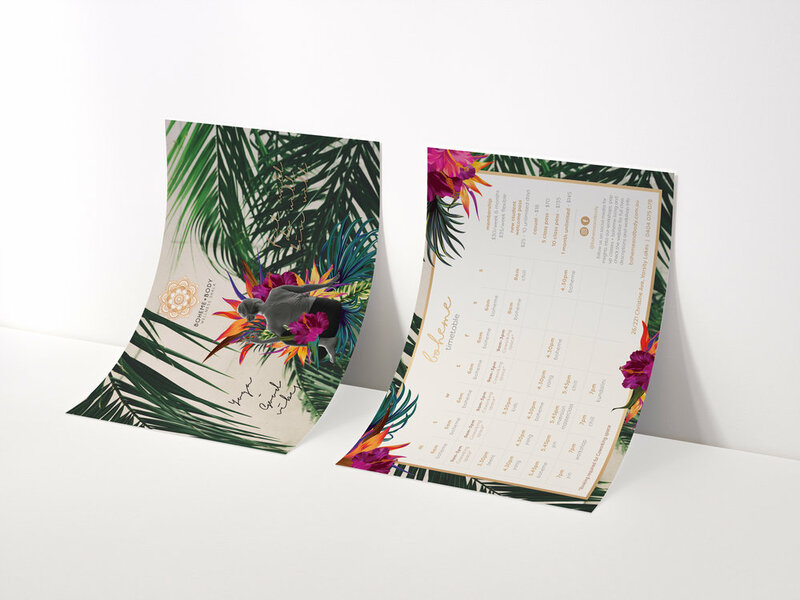 Boheme founder, Amy wanted to inject her passion, personal values and vision into the brand by creating unique and earthy designs to bring the brand story to life. 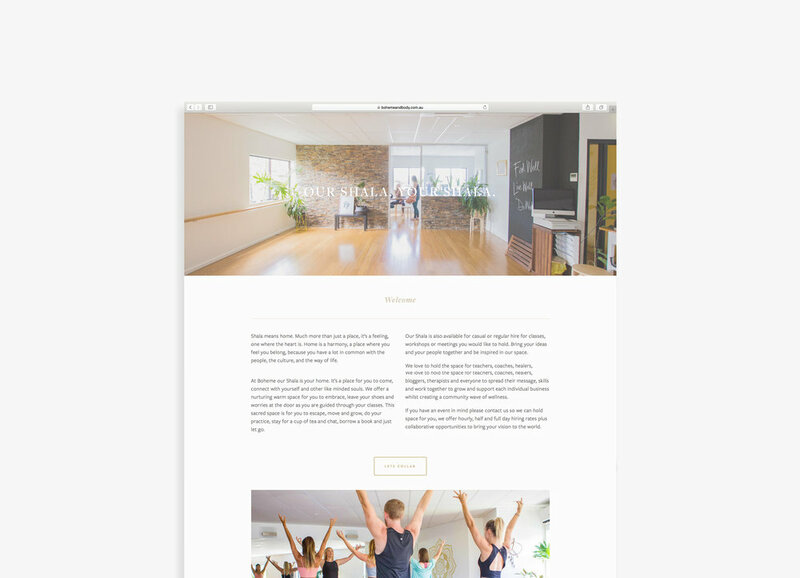 The new website and seasonal timetables were designed to reflect the interior freshness of the studio - an abundance of plants and greenery, golden tones and a bright, inviting space to escape, switch-off and leave your worries behind. The Boheme brand is bold, unique and pushes the boundaries. By using design elements of illustrations, photography, collage, paints and water colours - the designs are always new, fresh and unconventional. The brand however always stays grounded by it's roots of nature, earth and a free spirit as the foundation for their designs. 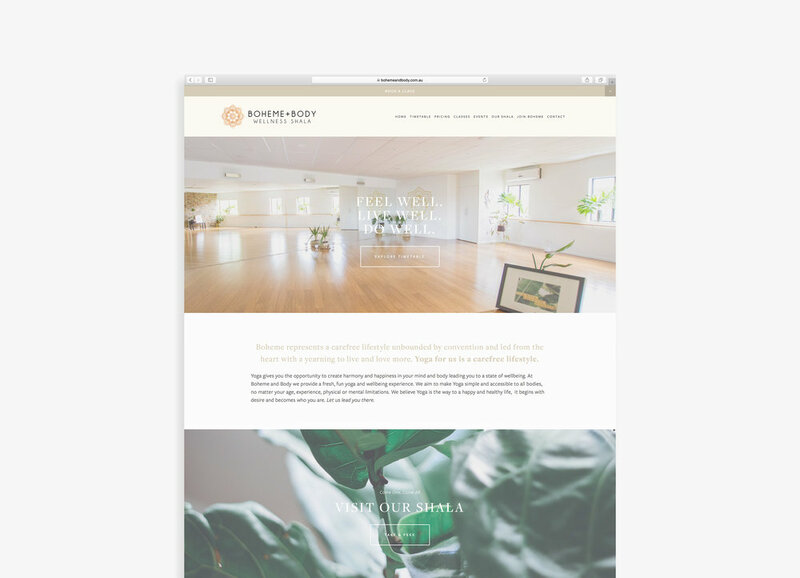 "We have been blessed to have Tahlia managing the creative aspects and website of our business for two years now and she is just a dream to work with! She understands the vision and creates perfect pieces straight away. Tahlia has given us the professional edge in our brand."